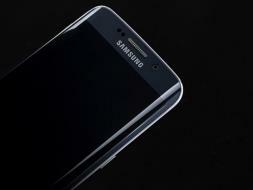 Samsung unveiled its latest and greatest flagship devices, the Galaxy S6 and the Galaxy S6 Edge, at its Unpacked event in Barcelona on Sunday. Despite multiple leaks already giving away most details of both devices, especially the design, Samsung had a few tricks up its sleeve in the form of new additions and some interesting new cutbacks. We managed to play around with both the smartphones at Samsung's booth at MWC in Barcelona and have our first impressions of the Galaxy S6 and the Galaxy S6 Edge. From the looks of it, Samsung seems to be listening to its critics and the consumers what with use of newer, arguably better, materials on both the Galaxy S6 and the Galaxy S6 Edge. Both the smartphones have all-glass front and back panels with a metal trim running along the edges. Samsung adds Corning's Gorilla Glass 4 which aids in adding durability to the devices. Unfortunately, the use of glass also means that the rear is a fingerprint magnet. In our limited time with the devices we noticed that it attracted a lot of smudges instantly. Samsung has used soft metal for the trim which combined with its chamfered edges allowed us to grip it easily. The reduced bezels on the Samsung Galaxy S6 ensures that gripping the phone with one hand is not too hard. Add to it, the 6.8mm thickness of the phone is a huge advantage as well. 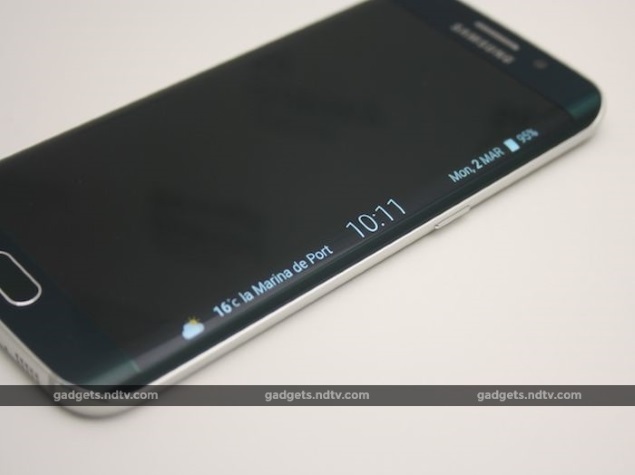 The Galaxy S6 Edge quite clearly has a more intriguing design when compared to the Galaxy S. Unlike the Samsung Galaxy Note Edge (Review | Pictures) display's single curved edge, the Galaxy S6 Edge has two curved edges, or a dual edge display as Samsung calls it. Swiping across the edges for different functions felt organic from the get-go. On the flipside, the front of the Samsung Galaxy S6 looks quite similar to its predecessor, the Galaxy S5, actually. The single rectangular home button which sits below the screen still looks the same but Samsung claims that it incorporates a better touch-type fingerprint sensor. We tried the fingerprint sensor with both the phones and noticed that it was much better than what we've seen in Samsung's previous flagships, with the one-touch home button all that's required for the screen to unlock. 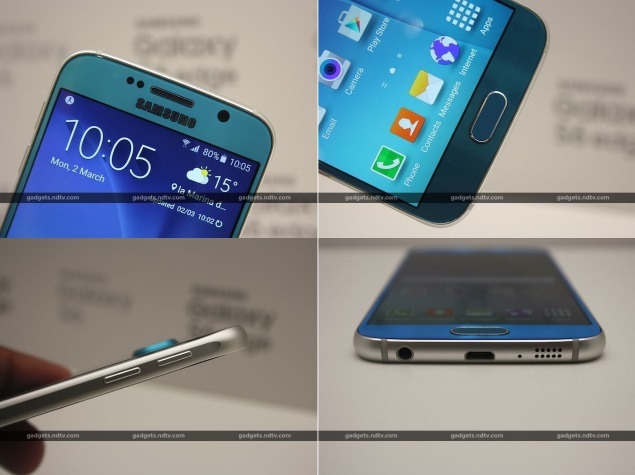 The bottom edge of both the Galaxy S6 and the Galaxy S6 Edge includes the speakers, Micro-USB slot, 3.5mm jack, microphone, and two plastic strips for receiving network signals. This edge looks strikingly similar to the Apple iPhone 6/ iPhone 6 Plus, so much so that there is no dearth of images doing the rounds on Twitter makes fun of it. On both the Galaxy S6 and the Galaxy S6 Edge, the power button and the volume rocker are placed on the right and the left edges respectively. They are easy to reach and have pretty good tactile feedback as well. We expect the Samsung Galaxy S6 Edge's whacky yet functional design to find more admirers when compared to the Galaxy S6's more utilitarian approach. Apart from the obvious differences in design, internally both the phones have the same set of specifications. They have the same 5.1-inch Quad HD (1440x2560 pixels) Super Amoled display with a pixel density of 577ppi. Samsung's new 64-bit octa-core Exynos 7 processor which uses a 14nm fabrication process powers both the phones. 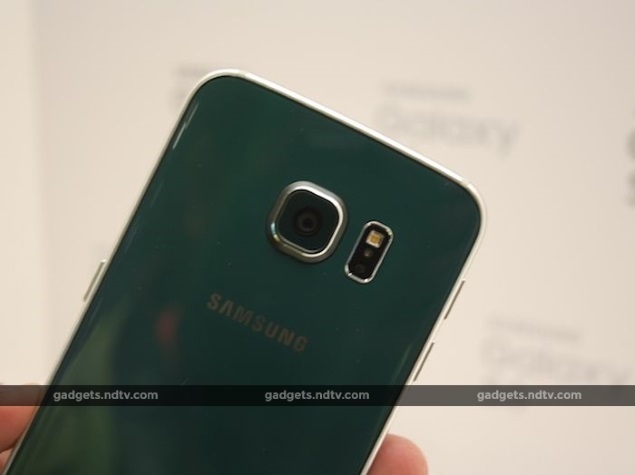 Additionally, the Galaxy S6 and the Galaxy S6 Edge have 3GB of RAM for apps and services. Interestingly, Samsung has decided to go the Apple way by introducing its latest flagship phones in fixed storage capabilities of 32GB, 64GB or 128GB. There is no additional memory card slot, which might be a bit of a letdown for few users. Moreover, the 2550mAh battery inside the Galaxy S6 and the Galaxy S6 Edge is non-replaceable. Like we mentioned in our 'Samsung Galaxy S6 and Samsung Galaxy S6 Edge: Top 6 New Features' article - we welcome the moves, but will consumers be so forgiving? Only time, and sales, will decide. Software-wise Samsung claims that the latest TouchWiz UI on top of Android Lollipop is lighter and more flexible. In our limited time with the phone we noticed that the software felt fairly zippy. Although, we've seen in the past that TouchWiz starts becoming slower over prolonged use and hope Samsung has managed to rectify the issue. 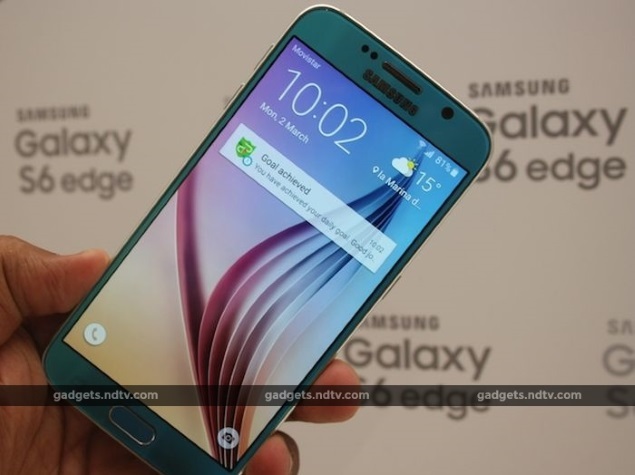 The software inside the Samsung Galaxy S6 Edge has additional features for the curved edges. Now, one can configure which side edge they want to use to show notifications and other information. There is a People Edge feature that lets users add five most used contacts to the edge of choice. When the phone is sleep mode, rubbing along the active edge can display information like missed notifications, time, weather, and more. One can also configure what notifications they'd like to specifically see. It comes as no surprise that Samsung improves the optics of its camera modules every year. Samsung includes a 16-megapixel rear camera with OIS (optical image stabilisation) and LED flash while there is also a 5-megapixel front camera on board. Our only minor niggle is that the rear camera lies on a slight bump on the rear. Quite interestingly, both the handsets come with a faster f/1.9 aperture. We noticed that the shooting speeds were much faster than other Samsung phones we've used in the past. Samsung has also added a feature where double tapping the home button opens the camera app directly. This worked as advertised to a fault. In our limited time with the cameras, we noticed that sample images looked incredibly crisp with most of the details intact. We'll know more about the performance of the Samsung Galaxy S6 and the Galaxy S6 Edge cameras once we have more time with the devices. product We managed to get some hands-on time with Samsung's new flagship smartphones that sport decidedly better designs and have great specs on paper.